Greg Bohannan, Rod Glove Pro Staff and FLW Touring Pro, believes in working hard both on the water competing and with his sponsors. He makes stops along his FLW Tour where he works with young men to help them become "reel" men through his program Hook, Line and Leader. 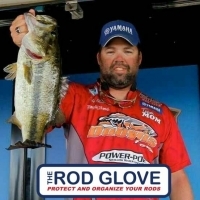 Making a comeback, The Rod Glove Pro Bass and Fishing Guide, Chris Jackson has his rod locker full of The Rod Gloves to protect his rods and always explains to his guests the importance of using The Rod Glove products. 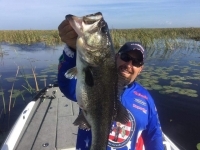 He uses his guide service as a way to get more time on the water with various anglers and to help promote his sponsors products along the way. 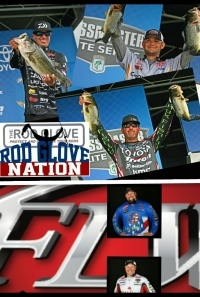 The Rod Glove is proud to be represented at both the Bassmaster Elite Series and FLW Touring Series through it's Rod Glove Pro Bass Elites and Rod Glove FLW Pros. The Rod Gloves can be stored tip and held together with a Bait Glove to keep your boat organized while fishing on the water. Randy has worked hard but his success finally came when he won the prestigious Bassmaster Classic and became the World Champion in his home state of Alabama. 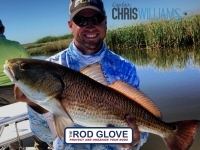 I have spent a lifetime fishing these waters and Pensacola Bay has some of the prettiest and most plentiful water ways on the gulf coast of Florida.I will provide everything you need to have a successful day on the water and my gear is protected by The Rod Glove. Yvonne Brown received the Rick Amsbury award and became the first female angler to join the Canadian Fishing Hall of Fame. "The difference between cashing a $10,000 dollar cheque could mean how well you have taken care of your gear or winning the tournament". As a tournament angler, your time is very limited and every second could mean another cast. He uses the Rod Glove Technique Tags for easy identification of his rods. 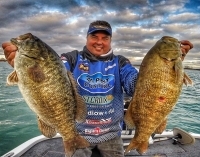 Peter Bartonek, spent most of his time growing up fishing with his friends,and is now a professional angler fishing tournaments throughout North America. 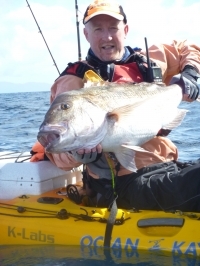 Our Rod Glove Pro Staff, Steve Haines from New Zealand indicated that he got into salt water kayak angling about 5-6 years ago. For years, I've battled tangled and damaged rods, guides, line and even reels. These are just a few issues associated with long tournament seasons full of thousands of road miles, and hundreds of hours spent in rough water. When I finally started protecting my equipment with The Rod Glove products, life became much easier and certainly less costly. The Rod Glove makes stowing, packing and unpacking a snap. Now I spend less time and money working on or replacing my equipment, and more time on the water. It’s a very simple and inexpensive fix for a problem every angler encounters.